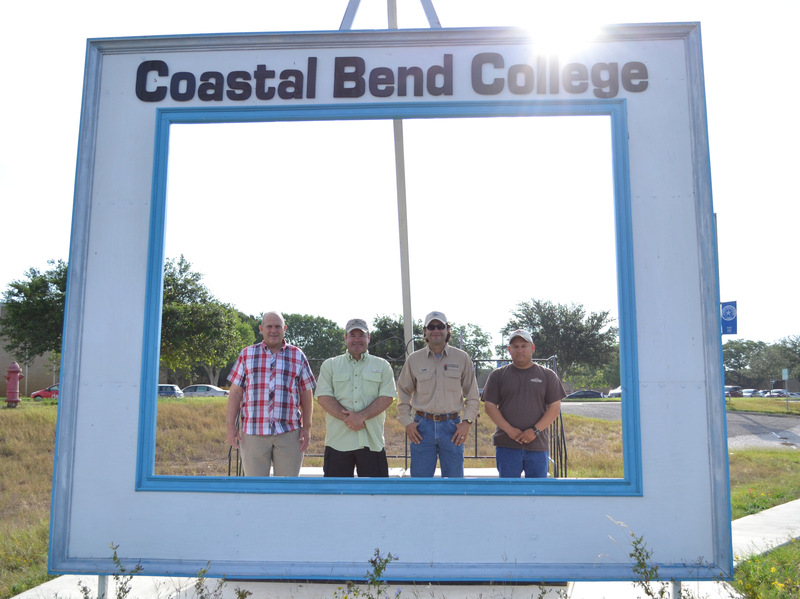 SafeLand training was recently held at Coastal Bend College. Included in the training were, from left to right, SafeLand Basic Instructor Terry Kirkpatrick and Pioneer Natural Resources employees Thomas Lutz of Goliad, Levi DeLeon of Pawnee, and Eric Gonzales of Yorktown. For more information about professional development in the oil and gas industry, go to www.coastalbend.edu/ce or call Glynis Holm Strause at (361) 354-2447.